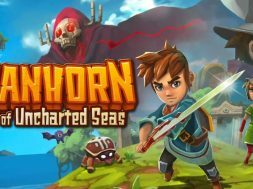 Mit Oceanhorn: Monster of Uncharted Seas hatte Cornfox und Publisher FDG Entertainment große Aufmerksamkeit bei der Vita Community erregt. Nach einer Umfrage auf Twitter und einer überwältigten Rückmeldung erscheint das Adventure nächstes Jahr auch auf dem Handheld. Wir haben uns das Creative Director Heikki Repo von Cornfox geschnappt und ihn über ihr Spiel ausgefragt. Lest hier, worauf wir uns freuen dürfen. Many thanks for your time! Can you introduce yourself and your studio to our audience? My name is Heikki Repo, I am the Creative Director of Cornfox & Bros. and creator of Oceanhorn franchise. Cornfox was established in 2010 and we have concentrated in relatively big titles for the size of our company. We are a five man team and we are currently we are working on Oceanhorn 2: Knights of the Lost Realm. The reaction to your announcement by the community was overwhelming. No wonder since 3D-Adventures are hardly presented in PS Vita’s library. What was your initial thought to start this project? And why just in this time where we see lots of cancellations? I have always been a big portable gaming fan and I used to love my PSP and I love my PS Vita. After the console releases, we had good opportunity to look at PS Vita and see if we could get Oceanhorn running on that hardware. We are PS Vita gamers ourselves, so we knew the strengths of the PS Vita community. You said, you had been working on a Vita build long time ago. And obviously it ran quite well to finish this port. On which engine do you develope/developed Oceanhorn? Oceanhorn is developed on our own internal engine. That is actually a big benefit when porting a game to a challenging platform. PS Vita is approximately as powerful as iPad2 and since iPad2 was originally our target device for the project, we knew it would be theoretically possible to get the game running on Vita. As we are concentrating on Oceanhorn 2, the actual porting was done by Engine Software, who were responsible in porting the remastered PC version to console. Would you say your game is Vita friendly from coding perspective? Or do you need to optimize Oceanhorn to hell to get it working? 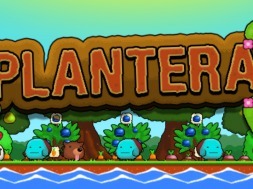 PS Vita was definitely the most challenging of all the platforms we had done before, but only because of our ambition towards getting the remastered version of the game running on Vita. The game that will be released is based on the best version of Oceanhorn available. Do you we have to expect restrictions compared to the PS4 Version? The restrictions are purely visual. As expected, the game uses lower resolution textures due to memory limitations and lower polygon environments, but on smaller screen it will look just as fantastic as PS4 version. Oceanhorn: Monster of Uncharted Seas has a successfull past on many consoles. Can you introduce your game to our audience? Which games had inspired you? The Legend of Zelda series, Secret of Mana’s, Landstalker and Final Fantasy series. Why do you think Oceanhorn fits to the Vita? The game was always pretty ambitious, but it was designed to be a portable game! 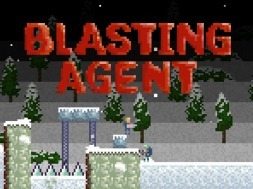 It was designed to play on the go, for example the game is automatically saved on the background every time level is loaded, or every time you walk past checkpoint. It is always easy to get back to game, your game is constantly saved! Can we expect any additional content exclusively for the handheld? Or at least some Cross-Features like Cross Save? Unfortunately, I cannot answer this question right now. In your twitter poll you have ask for retail. Can we expect any news on this? Limited Run games will have physical PS4 and PS Vita copies of the game made! We know, the development just started. But to you have a timeline to share? Unfortunately, nothing at the moment, but what I can reveal is that the port is progressing extremely well! Recently you announced, the successor Oceanhorn 2 is in development. Are there already any plans for the PS Vita? We love PS Vita, but Oceanhorn 2 is being developed in Unreal Engine 4 and unfortunately PS Vita is not one of the supported platforms and it would be very challenging to get UE4 working on PSVita, due to the nature of the game engine. Last question: Cross, Square, Circle or Triangle? Thank you for this interview and all the best for your upcoming projects, Heikki! 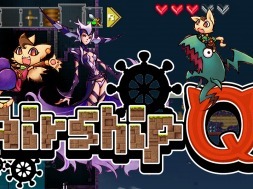 previous Community Interview - PS Vita Roundup! next Community Interview - The Vita Lounge!